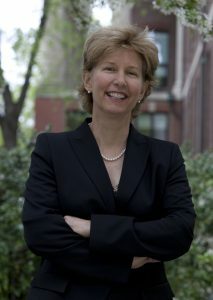 Cynthia Friend is the Director of the DOE-funded Energy Frontier Research Center, Integrated Mesoscale Architectures for Sustainable Catalysis (IMASC) and the Director of the Rowland Institute for Science at Harvard. She is currently the T.W. Richards Professorship of Chemistry and Professor of Materials Science in the Paulson School of Engineering and Applied Sciences, having joined the Harvard faculty in 1982. She earned her Ph.D. from the University of California, Berkeley in 1981, graduated from the University of California, Davis in 1977 with a degree in Chemistry and was a postdoctoral fellow at Stanford University. Friend has served in in many leadership roles including Director of the IMASC Energy Frontier Research Center at Harvard, Associate Dean of the Faculty of Arts and Sciences at Harvard, as the first and only female Chair of the Harvard Chemistry Dept. and as an Assoc. Director of SLAC National Laboratory at Stanford. Friend has also served on numerous advisory boards, including as Associate Chair of the recent DOE Basic Research Needs workshop on Innovation in Instrumentation Science. In addition, she was Sr. Editor of Accounts of Chemical Research and is currently on the Editorial Advisory Boards of JACS and ACS Catalysis. Due to her involvement in scientific innovation, she was elected to the Board of Directors of Bruker Instruments in 2016. Professor Friend is the recipient of three national American Chemical Society Awards: the 2017 Award in Surface Chemistry, the 2009 George Olah Award in Hydrocarbon Chemistry and the 1991 Garvan Medal. She is also a fellow of the AAAS and ACS and a recipient of a Humboldt Senior Research Fellowship in 2007. Professor Friend’s current research is focused on interfaces in relation to developing solutions to important problems in energy usage and environmental chemistry. Interfaces are pervasive in key technologies in our world and provide exciting opportunities for cutting edge scientific research. New energy technologies and new functional nanomaterials depend on control of solid interfaces with other solids, gases or liquids. Friend’s research focuses on understanding heterogeneous catalysis, including photo catalysis, at a molecular level using advanced experimental and physical tools. The two major themes of her current work are: (1) design and testing of dilute alloy catalysts based on coinage metals using surface science experiments; and (2) fundamental understanding of thermal and photochemical processes on transition metal oxides.